We believe businesses can reduce climate change by re-imagining their food waste. Traditionally, something is discarded once it is perceived to have no value to the beholder. However, we believe it’s simply a matter of finding a market for those who see value in that so-called waste or what we like to call ‘Spent Goods’. North America based recycling is based on this concept and found a market in China – As detailed in Junkyard Planet, it is more cost efficient for China to access raw materials like copper from automobile engines and Christmas lights than from virgin mining operations. 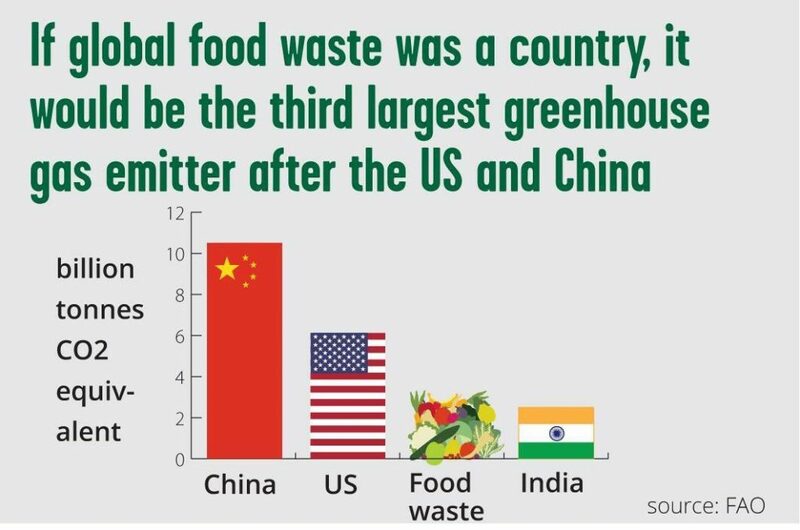 While this has helped to meet China’s breakneck demand for raw materials, its been at a significant cost to its environment and health of its citizens. Due to these factors and China’s growing middle class that is producing its own waste that led to China announcing that as of January 2018, it will significantly restrict importing “foreign waste” leaving North America scrambling for solutions. We connect local producers of spent goods with organizations that see potential in those same goods. Consider one of our clients – a logistics and transportation company in Etobicoke. They had a warehouse full of used wooden pallets and would pay to have picked up and sent to the landfill on a regular basis in order to recover warehouse space. We connected them to companies within a 10 km radius of their warehouse. Each company offered to pick up and pay for those pallets (their business, in turn, was to rent pallets). Our client is now being paid $1000 for each truckload that used to cost them $400 per truck to landfill. There are plenty of other examples of making money from spent goods – consider restaurants that collect their used cooking oil in barrels out back. Instead of dumping oil down the drains, existing companies will pick up used oil barrels on a regular basis and will make money by converting the used oil into bio-fuel. While there is enormous market potential, The Spent Goods Company will focus on the niche of the transformation of lesser-known food waste into value. The Spent Goods Company is focused on the craft brewing industry: consider the leftover grains after the beer manufacturing process commonly referred to as brewer’s spent grains (BSG). Traditionally, farmers have paid for BSG to supplement animal and fish feed, grow mushrooms, or make high fiber granola and bread. However, the majority of craft breweries have no time to research solutions for spent grains as it’s not part of their core business, and often easier to simply dispose of them into landfill. The Spent Goods Company is currently working with a Toronto-based microbrewery that produces 8 Tons of BSG/week and are exploring avenues for consistent pickup of its BSG by local farmers, animal sanctuaries for use as feed, and manufacturers who can use 5% spent grains to create premium bricks, tested to be as strong as conventional bricks and better at temperature insulation. So instead of disposing of brewery waste, isn’t it time you make or save money by re-using it? If you’re in the brewery world, either as a producer (e.g., craft brewery), an intermediary that provides products (e.g., equipment, supplies) or services (e.g., transportation, wastewater management consultants, financing) or a procurer of brewer’s waste (e.g., animal feed, bakery) and looking for solutions, we can help.